Maile Meloy is one of my favourite writers. Her short stories are regularly published in The New Yorker (and were recently adapted for the film Certain Women, with Laura Dern, Michelle Williams and Kristen Stewart); fans include Richard Ford, Anne Patchett and Curtis Sittenfeld. 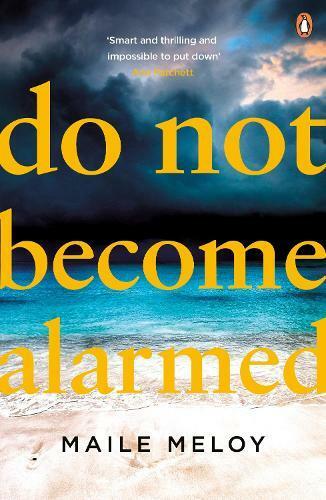 This unusually nuanced psychological thriller explores what happens when a trio of families lose their children on a cruise-ship holiday, in what starts as an accident and spirals into an international incident. Do Not Become Alarmed is thick with seemingly small missteps or moments that (like the mythical butterfly flapping its wings) line up to trigger serious consequences. Meloy’s characters commit the most ordinary of sins: selfishness, sly gossip, envy, entitlement. And when they take a holiday where the adults drink, relax and let their kids run around with a half-eye each on them, the unthinkable happens. But this isn’t a morality tale – or at least, not a straightforward one. It could initially be misread as a warning against relaxing our everyday vigilance for a week, a day, or even a moment. But its actual message is far more terrifying: that despite the layers of routine and protection we erect against an unpredictable world, the circumstances of our lives can be dictated as much by chance (including the circumstances of our birth) as by deliberate action. Meloy brilliantly satirises upper-middle-class American life and values; she poses uncomfortable questions about the gap between the expectations and assumptions her main characters are socialised to hold, and those America’s near-neighbours can afford – and the corresponding empathy gap. For parents, this book is the equivalent of those horror movies where your deepest fears are realised. And like the classics of the genre, the adrenaline-pumping conceit of this novel is as much a container for dark social commentary as it is a page-turning race to discover what happens. Provocative, immersive and oddly cathartic.